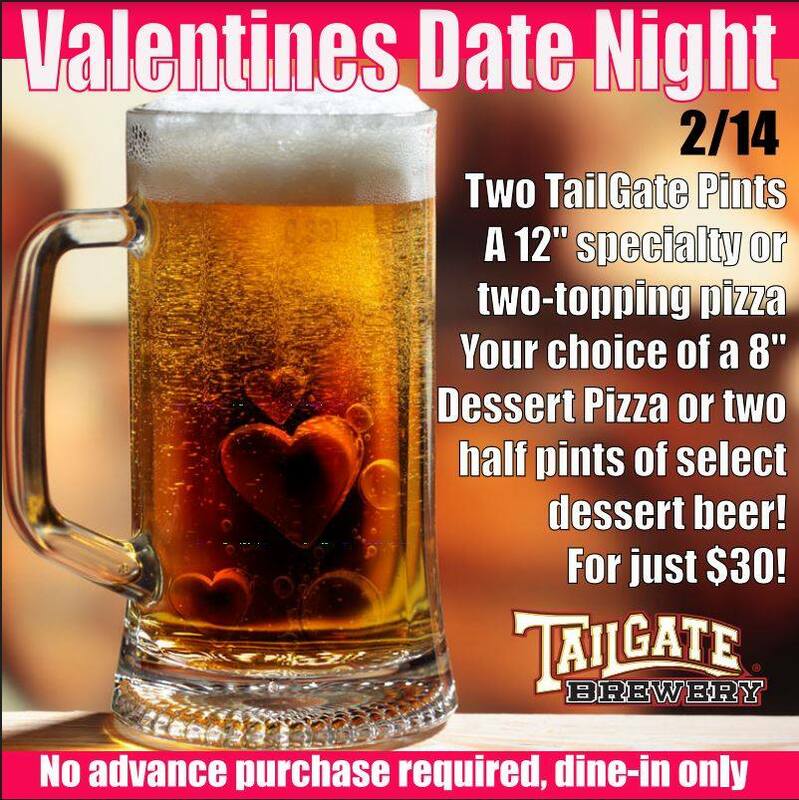 Taproom Valentine's Date Night Special! Nothing says love like pizza and beer. Spend your Valentine's Day with us and our romantic taproom date night special! Your choice of a 8" Dessert Pizza or two half pints of select dessert beer! No advance purchase required, dine-in only.